This article is meant to be a snapshot of the current Security Token ecosystem as of April, 2018. We will work to keep this list updated, but you can also see updates on the original post. A new generation of tokens is upon us. If 2017 was the year of utility tokens, 2018 will undoubtedly be remembered for the birth of an entirely new eco-system of platforms, exchanges, and funds, all looking to capitalize on the trillion-dollar opportunity that is tokenized securities. Tokenization is becoming particularly popular amongst more traditional issuers and investors, allured by the benefits of blockchain technology, as well as the crypto whales, looking to hedge their increasingly volatile portfolios. Security tokens, tokenized securities or investment tokens, are financial securities compliant with SEC regulations. These Gen-2 tokens can provide an array of financial rights to an investor such as equity, dividends, profit share rights, voting rights, buy-back rights, etc. Often these tokens represent a right to an underlying asset such as a pool of real estate, cash flow, or holdings in another fund. These rights are written into a smart contract and the tokens are traded on a blockchain-powered exchange. Some evangelists claim that these securities will soon become so popular, traditional stock exchanges and OTC markets will be completely replaced over the next decade. Advantages of tokenization include fractionalization of larger assets, increased liquidity, lower issuance fees, and greater market efficiency. However, the greatest benefit that security tokens provide an issuer is access to a global pool of capital. As these tokens can be sold and traded internationally (when compliant with regulations), they become more fairly priced and, therefore, attractive to investors. This SEC compliant offering is appealing to both institutional investors for it’s more recognizable structure, and to crypto investors for its technological innovation. Term to Know: “STO” — a security token offering. Similar to ICO for utility token offerings. If you are thinking of tokenizing your next funding round, prepare yourself for a six month process of hiring advisors, lawyers, and engaging with some of the following platforms. When done correctly, your company should spend two months working with advisors and legal counsel on structuring the offering, and creating marketing materials, one month working with a technical platform to onboard your token, and three months conducting a roadshow for both traditional and crypto investors. The following list should work as a solid starting point for figuring out what platforms and advisors to engage with, as well as blueprints from other issuances. Let’s get comfortable as we are about to go into some details. These platforms range from open-source protocols for token issuance, requiring technical expertise, to more turn-key technical and advisory services. Note: This is a living and breathing guide of notable players in the industry which will be updated periodically. Feedback is welcome. If you have a platform or an issuance that you believe should be added, please contact me via Twitter. Polymath is a blockchain protocol that facilitates the issuance and distribution of legally compliant token-based securities. The protocol embeds financial security requirements into the design of new security tokens, streamlining the process of launching financial products on the blockchain seamlessly. The Polymath platform provides means to trade security tokens, authenticate investors, connect with legal delegates, and access a developers’ marketplace. Poly, an ERC20 token, powers the system and acts as the underlying economic unit that facilitates authentication, legal, and developer services. Harbor is an open-source platform that enables traditional investment classes to migrate seamlessly onto the blockchain. Through a standardized process, Harbor streamlines regulatory steps to ensure that companies who migrate their assets comply with legal requirements. Through a Private Placement ICO, Harbor provides for a Reg D-compliant private sale, combined with a new token permissioning technology, the R-Token. The standard integrates requirements such as KYC/AML, tax rules, reporting information, and accreditation status into each new token formulated through the system. Securitize is a regulatory compliant cloud service solution for the tokenization of securities, enabling tokenization of funds, companies, or other entities. The company provides several services including establishing the legal and regulatory readiness of the issuers and their legal team, streamlining investor registration in compliance with KYC/AML accreditation or other legal requirements, customizing smart contracts to match issuers’ unique requirements and security token data throughout the lifetime of the security. Spun out of SPiCE VC, the platform has secured commitments from companies running ICOs in aggregate of $500 million, including offerings from CryptoOracle, Kairos.com, Lottery.com and 22X Fund. Shay Finkelstein, CTO, CTO at SPiCE VC. Swarm tokenizes real-world assets using the SRC20 protocol, a cryptographic standard for security tokens. Tokenized objects become “assets” that can be easily managed, governed and traded on the Swarm network. Swarm Invest, launched in January 2018, allows tokenized assets to be offered as investment opportunities. Individuals can invest cryptocurrency such as SWM, BTC, and ETH (and soon, fiat) into real world assets and receive SRC20 tokens in return, granting them ownership and governance rights, a legally enforceable right to any revenue the asset generates, and the ability to trade the tokens in a regulatory compliant manner. Areas of focus include real estate, renewables, agriculture, tech companies, crypto hedge funds, impact investments (development projects and post-disaster rebuilding), infrastructure, among others. Templum is a regulatory compliant solution for security token issuance and subsequent secondary trading. Templum Markets (formerly Liquid M Capital, acquired by Templum for $1.3M) is a registered alternative trading system (ATS) and a broker-dealer firm. Templum offers a platform that both enables the initial sale offering of security tokens and operates as a marketplace in which secondary trading can take place by issuers and investors. 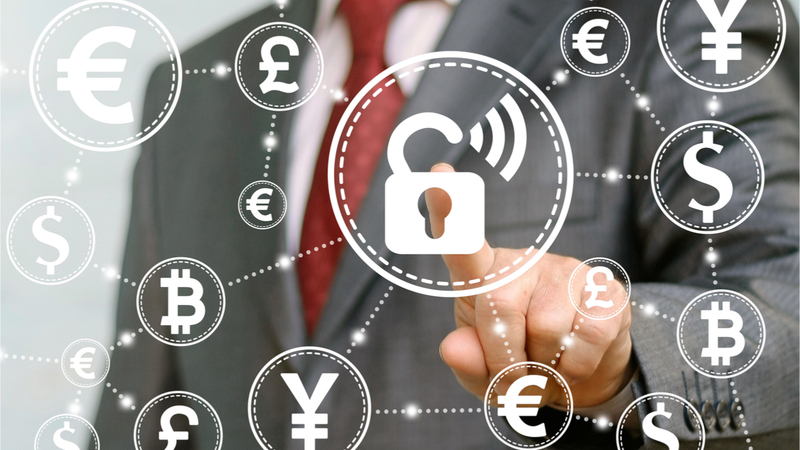 Like many other solutions, Templum will integrate AML and KYC as part of the platform to comply with regulatory requirements. Founded in 2015, Securrency offers a protected, scalable platform providing liquidity to previously illiquid assets. The company’s platform consists of several products: (1) Securrency™ — facilitates regulatory compliance and enables the trade or transfer of tokenized securities, (2) RegTex™- provides regulatory compliance services such as, KYC/AML reporting, validation of investor accreditation and eligibility, reporting, and tax submissions, (3) SmartContraX™ — a blockchain smart contract development service, (4) InfinXchange™ — provides standard interfaces for payments, exchanges, asset pricing, and other transactions. tZERO, a subsidiarity of Overstock.com, focuses on the development of various blockchain supported solutions for the capital markets. The company’s present offering consists of brokerage services, stock inventory management systems, smart order routing solutions through a network of more than 100 brokerages, a 24-hour trading platform, as well as other services. The company handles traditional equities but is planning on scaling its operations by integrating a token trading system for crypto securities. The company’s token — tZERO, is an ERC20 security token, that pays 10% of adjusted gross revenues to token holders on a quarterly basis. OpenFinance Network (OFN) is an open-source platform specializing in secondary markets for alternative assets. The OFN team has been working together since 2014, offering trading, clearing and settlement services. Recently, the team has refocused their attention on blockchain solutions and has developed a compliant standard by which tokenized securities can be exchanged and eventually issued on the blockchain. Last Month, OFN enabled one of the first verified compliant security token transactions and is now accepting applications to list additional security tokens. Orderbook is a decentralized exchange that automates the process of investor verification through a specialized token. The token, named RAP, ensures that ICO and other crypto related transactions are compliant by cross-referencing local jurisdictions requirement with its database of RAP token holders credentials. For example, If an investor who does not meet the proper regulatory requirements attempts to buy a token on the exchange, the system compares the investor’s permission level against an internal database and prevents them from finishing the purchase. Bancor offers a liquidity model that connects multiple tokens to one pool of capital, enabling price discovery and ensuring liquidity even in low transaction volume environments. In the context of securities, this model complements existing best practices and provides alternative ways to achieve liquidity, enhancing the benefits of moving securities to the blockchain. Bancor is often described as the long-tail of value creation, that is, the long tail of low demand and low volume products. In the tokenized security market, one example for this use case is found in the partnership between SPiCE VC, a tokenized VC fund and Bancor. As part of the arrangement, SPiCE VC is committed to holding up to 5% of its capital on the Bancor network, so that token holders can benefit from additional ways to liquidate their holdings. One of the big promises of the tokenization of assets is to open the floodgates of the global pool of capital, eliminating siloed demand and supply dynamics restricted by geography and infrastructure. Airswap is a decentralized exchange that enables trading on a global scale, connecting individual entities across markets. In the context of security tokens this results in increased liquidity and a generally more stabilized, less volatile demand environment. Brave the new world. As there are only a handful of existing issuers and only about a dozen more in the works, this is the frontier of financial innovation. Pioneered by Brock Pierce, Blockchain Capital was arguably the first to introduce a public offering for a securitized token. In its ICO, Blockchain Capital hoped that it could improve the emerging token sale industry in multiple ways. The offering created a blueprint for future tokenized securities, invested in other ICO’s that embodied some of the best practices and accepted funds only from accredited investors. The token sale reached its hard cap of $10M within six hours. The proceeds from the offering were transferred to one of Blockchain Capital’s funds. According to the offering memorandum, the fund’s managing partners collect a 2.5% management fee and a 25% performance fee. The remainder of profits are to be distributed to token holders. Science Blockchain is a fund and an incubator focused on blockchain investments. Thus, it’s almost logical that the fund was raised through an Initial Coin Offering of a security token (SCI). The SCI-token provides token holders with rights to up to 70% of the stream of new tokens generated from portfolio companies. Additionally, the fund’s proceeds from liquidity events are anticipated to be used to repurchase tokens via a buyback program, thus allowing investors to enjoy equity appreciation. Founders Peter Pham, Mike Jones and Greg Gilman, founders and investors in the original Science incubator. Lottery.com, formerly AutoLotto, is a mobile lottery service. The company intends to utilize blockchain technology to enhance its services through instant payouts, transparency, flexibility, and expansion across international markets. The company is nearing the close of the private sale of it’s STO, rumored to be in the nine-figure range. This securitized token produces a financial yield to token holders based on gross raffle sales. Securitize and Cashbet have partnered with Lottery.com to help bring the offering to the market. While VCs have been behind almost all the greatest disruptions of our time, the VC industry has remained almost untouched. SPiCE VC intends to change this through its tokenized VC fund model that offers almost immediate liquidity for investors. If, in traditional VC funds, LPs had to wait anywhere between 7–12 years until they gain full access to their funds, SPiCE token holders get a piece of the exit pie, while enjoying a tradable asset. Even though the company intends to invest in some utility tokens, SPiCE is focused first and foremost on security tokens, with Securitize being their first portfolio company. Startup fundraising is hard. That’s why a group of entrepreneurs from a recent batch of 500 Startups, a highly selective accelerator, came together to form a new tokenized fund. 22X Fund will invest in up to 30 of the startups that graduated from the San Francisco 2017 500 Startups batch. The fund will hold between 2.5%-10% equity in the companies it invests in. Token holders receive their returns by trading the tokens on an exchange or through a token repurchase program that applies after a portfolio company experiences a liquidity event such as an exit or an IPO. PropertyCoin is another example of how security tokens can transform existing markets. PropertyCoin is opening up real estate, one of the largest asset classes, through a 100% asset backed token. Aperture, the operator behind the STO, intends to invest the proceeds in two business areas — (1) flipping residential properties and (2) lending to other property investors. 50% of the profits will be shared with token holders through reinvestments. Sia is a blockchain-based, decentralized cloud storage platform on which Renters can lease storage capacity from Hosts. Sia utilizes two tokens, Siacoin and Siafunds. Siacoins are used by Renters and Hosts as the currency in which deals are performed on the platform. Renters and Hosts are required to pay network fees to the Sia platform that amount to 3.9% of all spending. Siafunds are entitled to receive a proportional amount of those fees. Nebulous, the operating company of the Sia platform, is offering 750 Siafunds out of a total of 10,000 Siafunds, as a Reg D security token. This is an example of a ‘two-tier’ or dual tokens issuance, which is used both a security and a utility token. Slice is a commercial real-estate (CRE) investment platform for cross-border investors. It functions as the underwriter, issuer, and placement agent for prime real-estate securities. Slice offers liquidity to conventional real estate equity investments, while creating portfolio diversification tool for high net worth investors. Slice’s investments will provide investors with a choice between stable quarterly distributions from cash-flowing properties, or high-yielding value-add projects with large but infrequent dividends. Accredited investors can deploy investments directly into institutional-grade commercial real-estate utilizing Slice’s tax-advantaged structure. Slice combines the Bancor Protocol with Stellar’s built-in decentralized exchange to ensure high liquidity for the CRE-backed tokens issued on the Slice platform. Speaker, Founder, VC, and totally Crypto obsessed. Tokenized securities evangelist. Building a new world, one token at a time.